News of ‘Mai Manto’ being in its final stage had been doing rounds in the entertainment section of newspaper and websites since the beginning of this year. And looks like there was some authenticity in those news snippets because the director himself has announced that the much awaited movie will see a release by Decemeber. Another news which is rife about ‘Mai Manto’ is that a drama will also be aired based on the movie. Director Khoosat who is being very tight lipped about his project told HIP that he doesn’t want to go in to details. However, upon speaking to Saba Qamar, who will be playing the role of Melody Queen Madam Noor Jahan in the movie, it was revealed that the drama will only be made after gauging audience’s response about the movie. Speaking further about her role, Qamar elaborates that Manto used to write about Noor Jehan a lot, both bad and good and the legendary singer/actress was a big fan of him because of the element of truth in his writings. Although she found it a daunting task to portray Noor Jehan, Qamar says that she takes immense pride in the role allotted to her. Referring to Khoosat, Qamar says that all the credit for her acting should go to the director only. She also says that Khoosat is working so hard on his role as Manto that at times, she feels like her close friend (Khoosat) has actually turned into Manto. The killer beauty Qamar lastly says that Mai Manto will be a master piece and Humsafar doesn’t stand a chance in front of it. The director of famous drama ‘Humsafar’ Khoosat, who is also playing the character of Manto in this movie, has been inspired with the literary genius since reading his work in 9th standard. However, owing to the near death of reading culture in our country, Khoosat thinks (and correctly so) the new generation doesn’t know much about Manto. This is exactly what his movie aims – to educate today’s youth about Manto’s life, the hardships he faced during the last five years of his life and the writing masterpieces he created during that period. 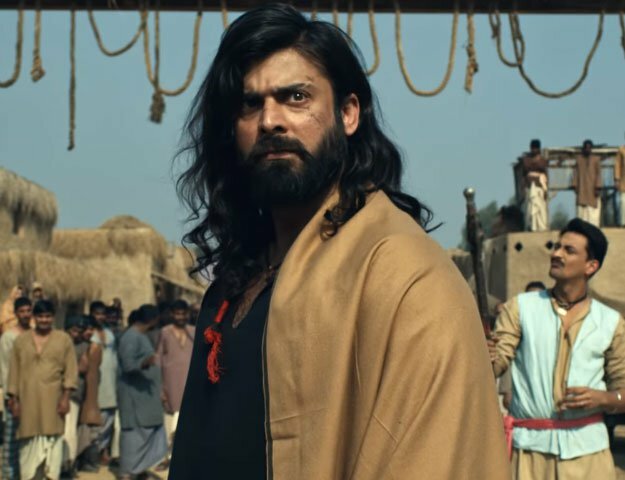 Written by Shahid Nadeem, the movie’s cast includes Mahira Khan, Saba Qamar, Imran Abbas, Sania Saeed, Hina Khawaja, Savera Nadeem, Nadia Afgan, Nimra Bucha and Adnan Tipu in prominent roles apart from Khoosat himself.